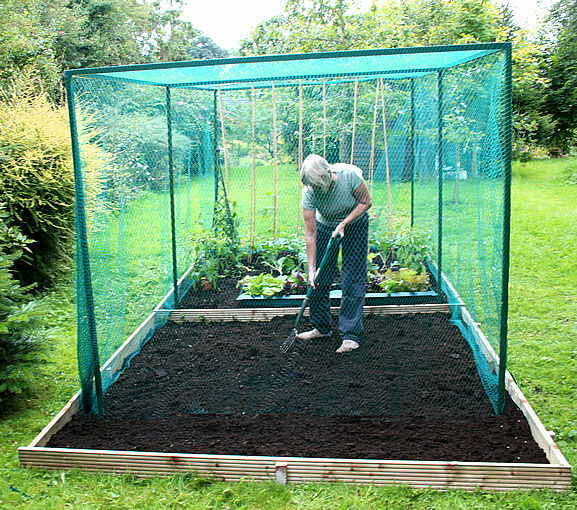 3 metre long tall and wide garden netting grow tunnel (3m x 1.5m x 1.5m) cloche / crop grow tunnel with 4mm aperture holes made from high strength PP netting. 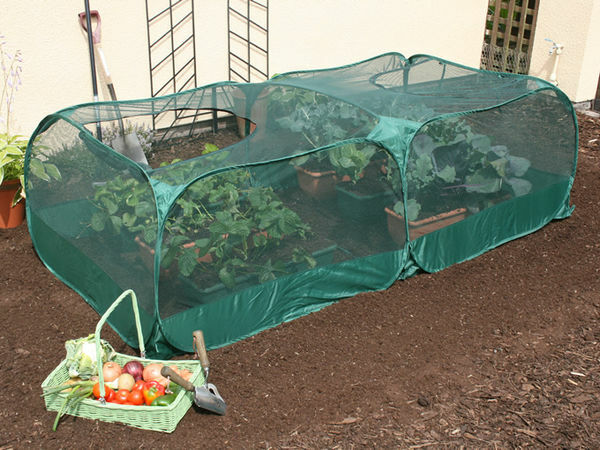 Used by vegetable and crop growers and allotment owners to protect crops, vegetables, salads and fruit from pests, birds,insects, butterflies, rodents and pets. The large 3m long grow tunnel is a premium product designed to last year after year and at 1.5m wide and tall allows access to inside. 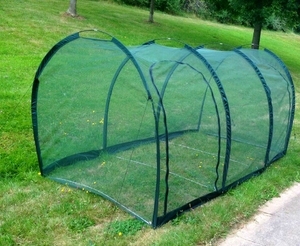 Supplied with access doors, crops can be accessed easily. . 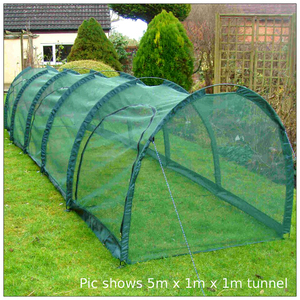 Designed using technology from the modern tent industry, the tunnel is based around collapsible carbon fibre rods that create the U-shaped tunnel shape. 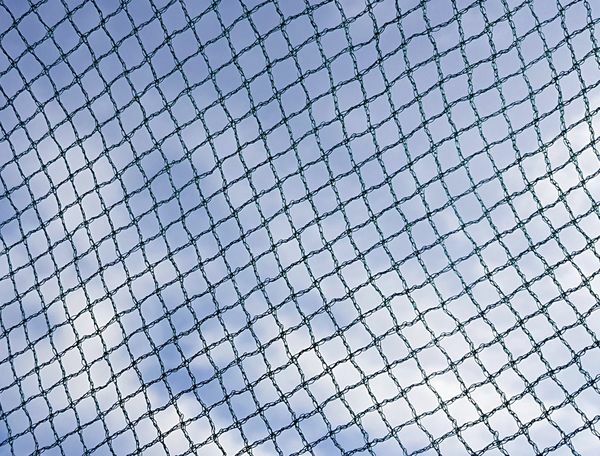 These rods are threaded through specially design tough stitched loops that are connected the the high strength 4mm hole size PP netting. 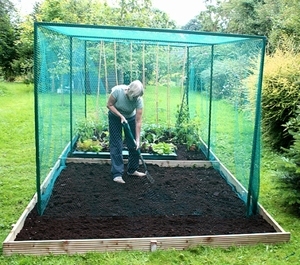 Perfect to protect vegetables, fruit and plants on the allotment. 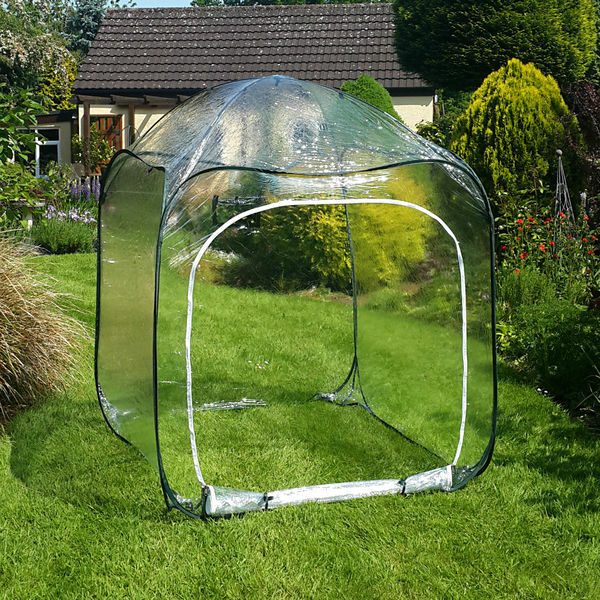 The cloche tunnel is 1.5m wide and 1.5m high making this suitable for fairly sizeable planting, and each grow tunnel has zipped access doors and access also at either end. As with tent technology, the cloche tunnel can be further stabilised using the integrated guy ropes at either end of the tunnel.